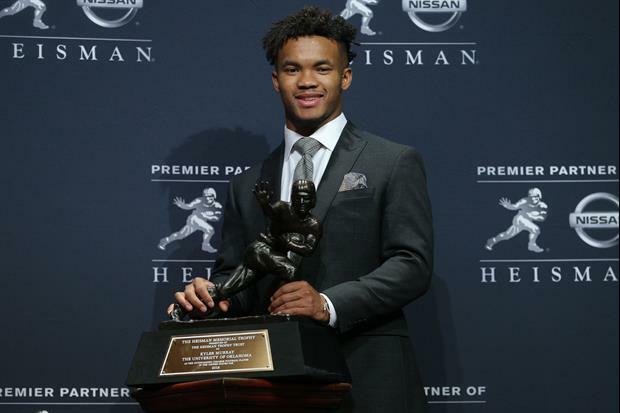 Murray was drafted by the Oakland A's prior to winning the Heisman. Bad decision. Will be a bust. Awful decision. Unless he ends up being a 10 year NFL quarterback this is as not smart financially. Does part of his training include hanging upside down holding barbells, to stretch his 5’8” frame? Probably had something to do with proving the doubters wrong. Also, probably realized baseball is no substitute for the excitement and thrill of playing football. Good decision. If he has the ability to be a MLB player, he can do that now or in 4 years. It wont effect his career. If he is good enough to start in the NFL, its a way better gig. (prestige and endorsements). Dumb decision. You can make way way more money in the MLB if you are good. Also your body goes thru much less trama. Average career of a NFL QB is 7 years. how can you speak to another person decision. He's passionate about his choice and by that, its the right one. life isnt about accumulating money. Props to kyler for following his heart. financially (at least long term) this is a HUGE mistake. But let's face it, baseball's pretty boring. He may just like football better. And coming off a Heisman Trophy season, maybe he's looking at a high draft pick and a big rookie contract. I really like this guy, so I'll be curious to see if he pans out, like Mayfield has so far. "financially (at least long term) this is a HUGE mistake." Not sure why everyone is saying this like it's the absolute truth. If he goes in the first round he is looking at more in first contract guaranteed money than he was going to get from the A's on a first contract. From there in either sport his future earnings would depend on his future performance (he would have to play well enough just to get on the A's Major League team). At the high end there may be more guaranteed money to be had in a long major league baseball career, but in the short term 1st round NFL money is more lucrative, and if he is good enough the second NFL QB contract will be massive as well. Nobody can say for sure which decision was better financially for Murray. Should have played baseball. More money, longer career and less chance of injuries that take away from your enjoyment of life. It’s not more money if you get stuck in AA.